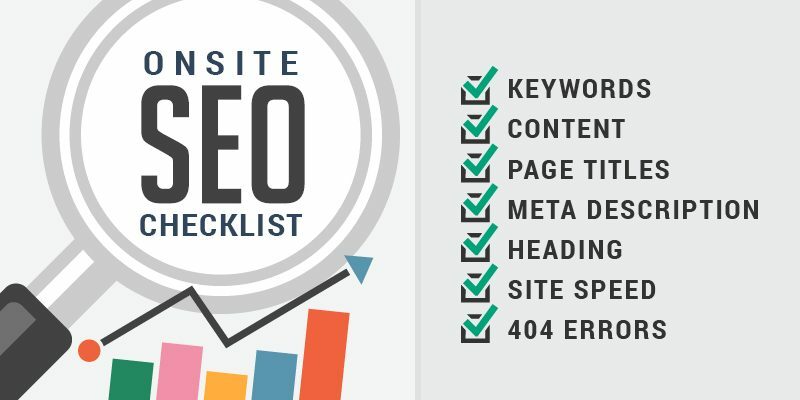 What most people do not realize is that on-site SEO is way more important than off-site SEO or article marketing or backlink building or anything else someone tries to sell you. I have worked on websites where I ONLY performed on-site SEO services and they achieved first page Google ranking. We own a website called www.howtogetridofstuff.com that only has 1,300 articles on it and it achieves 2 million unique visitors per month. 93.7% of the pages achieve first page Google and every backlink to the website is 100% natural. This site proves that you can achieve great results with SEO with just concentrating on the site itself. I am not saying an off-site SEO strategy isnt worth your time, it is. I highly recommend it, but on-site has to be your first concern. The URL is the site is very important. Our www.howtogetridofstuff.com site does great for “how to get rid of” articles because the keyword is in the domain. So if you can setup a site like this, you are 10 steps ahead of the game. But in most cases this is not possible. So the next best thing is to make sure each page on the site, or at least the important ones, have the keyword in the URL. For example, if you search for “how to get rid of stretch marks”, you will see www.howtogetridofstuff.com #1 on Google. You will also see its the article page that is #1, not the home page of the site. The title tag, meaning the title of the site at the top of the browser (not on the web page). This is also very important. working off of the same example, if you search for how to get rid of stretch marks and go to that page, you will see in the title of the browser “how to get rid of stretch marks”. The title tag to Google is second most important, behind the URL. The title tag is also what appears in Google results. Google has put more stress on relevant content, meaning when the URL and title tag are exactly the same, it means that this page should be ranked higher for that exact keyword. Sticking with the same page, you will also see that the H1 tag, or the title of the article is also how to get rid of stretch marks. The H1 tag is the header tag. There is also an H2, H3 and so on… tags. The H1 tag should be the same as the URL and the title tag. they should be exact duplicates. You can also use the H2 and H3 tag if you want throughout the page, this will help with keyword density, which is next. This is basically repeating the keyword over and over. But you don’t want to push your luck. For every 100 words, I would repeat the keyword 2 times. This is NOT including the title of the article. You can also bold the keyword in the content or make it a H2 or H3 tag. By doing so you are telling Google, this keyword is very important and I want to be ranked for this keyword. This is important because when Google Bot crawls your website, it wants to know what pages are linked to each other. You can use this to your advantage by “pulling up” weaker pages to get #1 and #2 spot on Google. If you search Google for “how to get rid of a cold sore”, you will see www.howtogetridofstuff.com is ranked #1 and #2. If you click on either article you will see that both pages are linked to each other at the end of the article. You will also see the hyperlink (anchor text – the text you click on) is the same as the keyword I want to be known for. So the “cold sore” article links to the “cold sores in a day” article with the anchor text “how to get rid of cold sores in a day” and vice versa. This tells Google that this page is also important and this keyword is what this page should be known for. Since each page is already optimized for the keywords it helps Google understand this. It is important to have the image file name (keyword.jpg) and the alt tag the same as the keyword. You can also add in a title and caption for the images. Reason for this is to keep the keyword optimization going, plus the keyword density. The more the keyword is on the page, via image, text, URL, tags, etc… then the more Google understands what the web page should be ranked for. let us know if you have any questions, we can certainly help you out. We not only provide these services for our clients, but we also do it for ourselves as we own our own websites. This is important for us because it forces us to always be on top of the latest SEO changes.